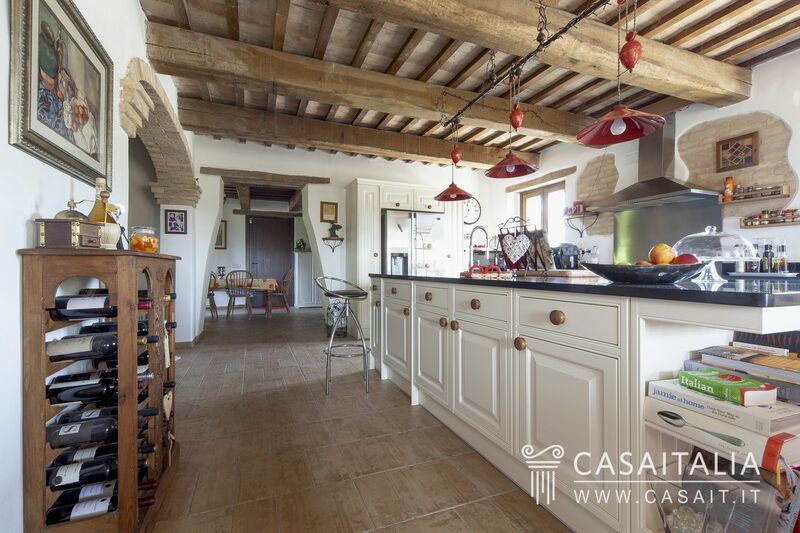 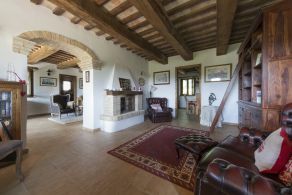 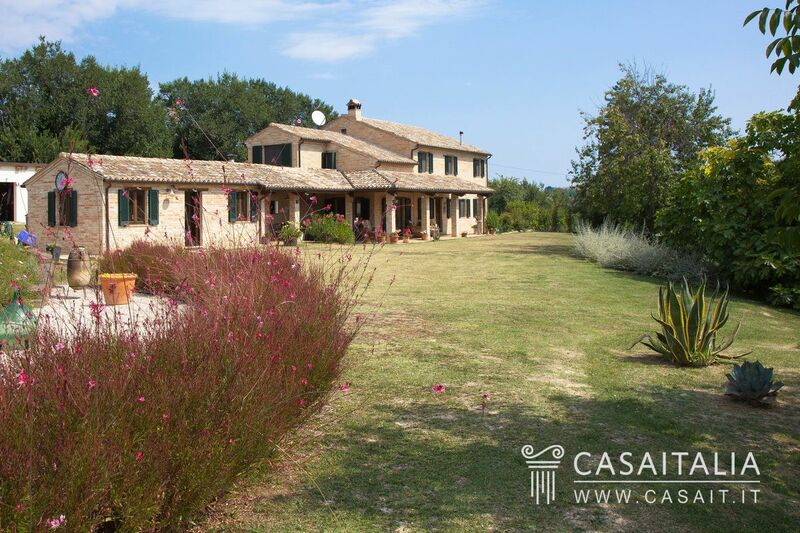 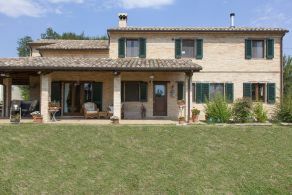 Traditional, restored country house with panoramic pool and private garden measuring around 2500 sq.m. 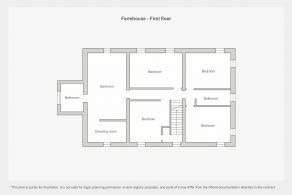 With two floors, measures 385 sq.m in total and features kitchen with island, two dining rooms, two sitting rooms, study and bathroom on the ground floor and five bedrooms and three bathrooms on the first floor. 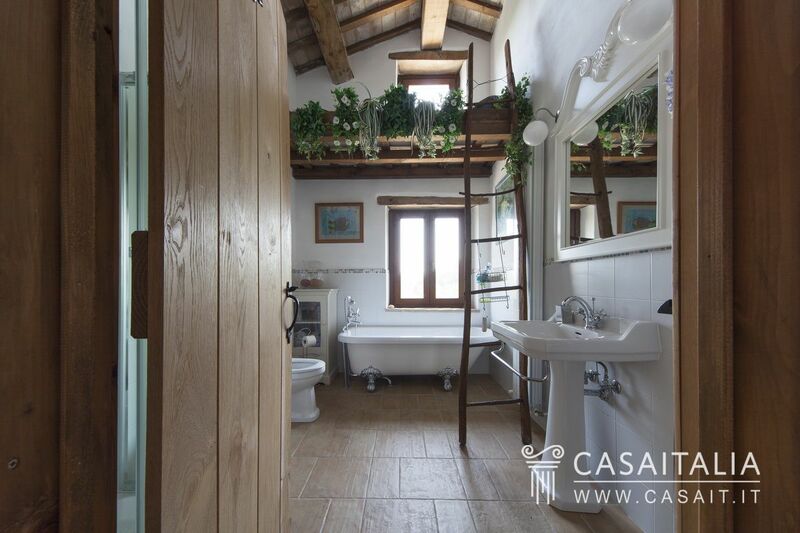 The property is completed by two annexes measuring 49 and 57 sq.m in total. 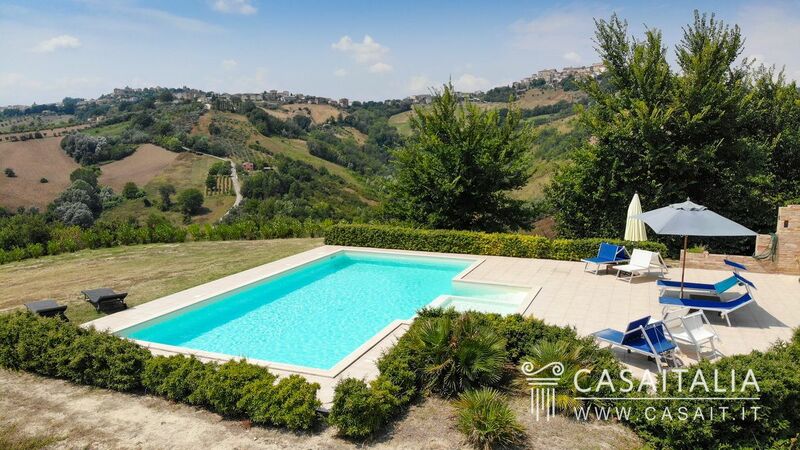 Casale Loving Marche is in a picturesque location, on the top of a little hill with a magnificent view of the surrounding hills and the five towns that peek out of them. 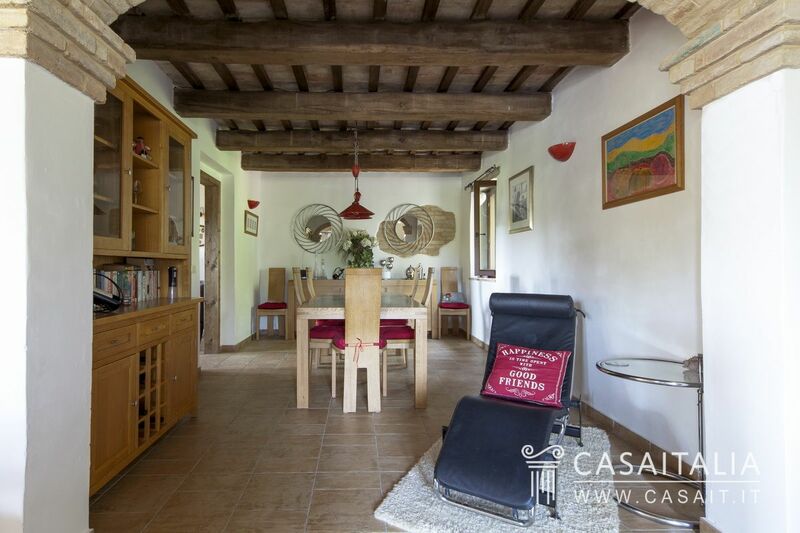 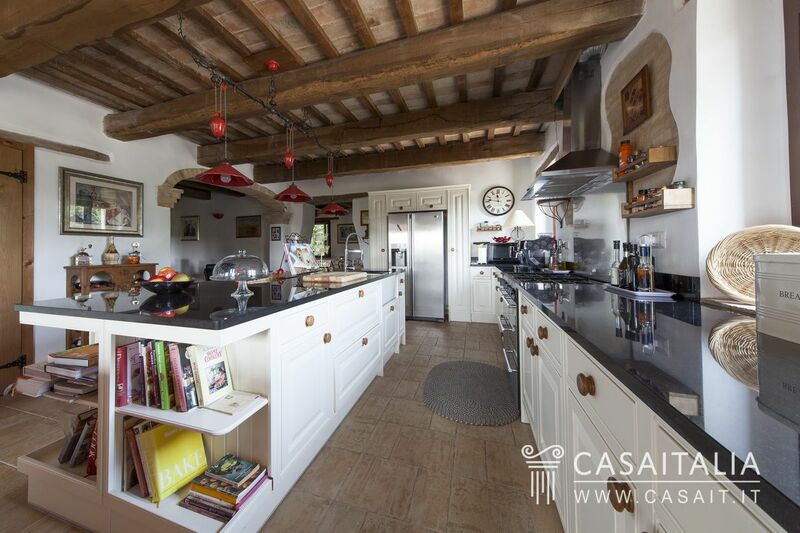 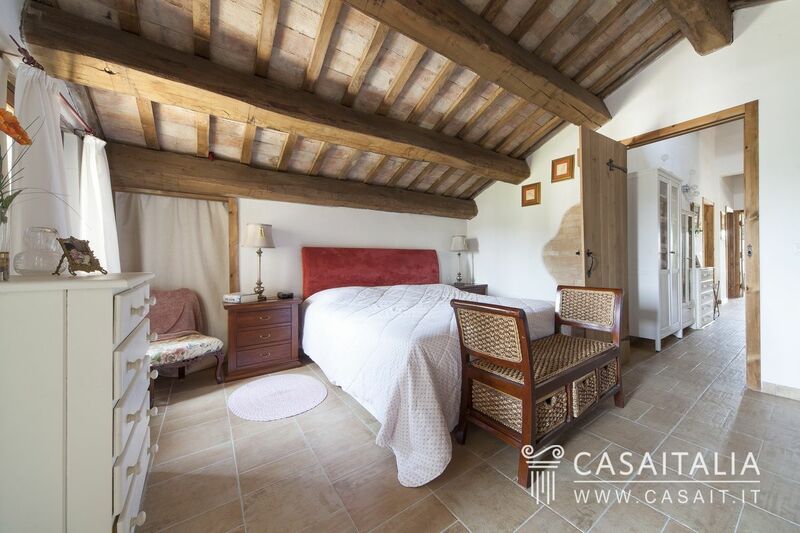 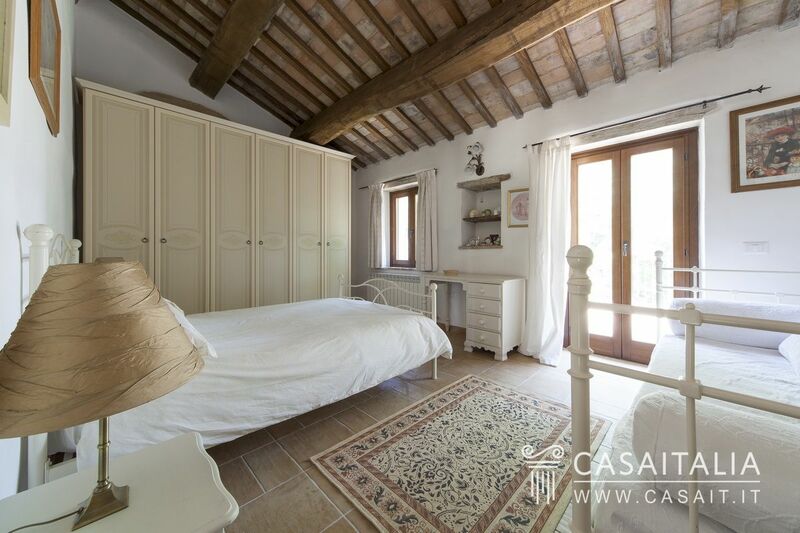 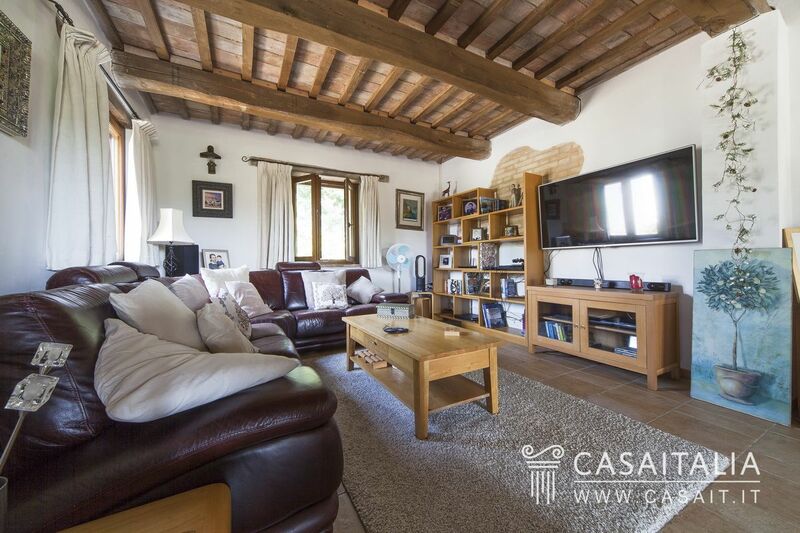 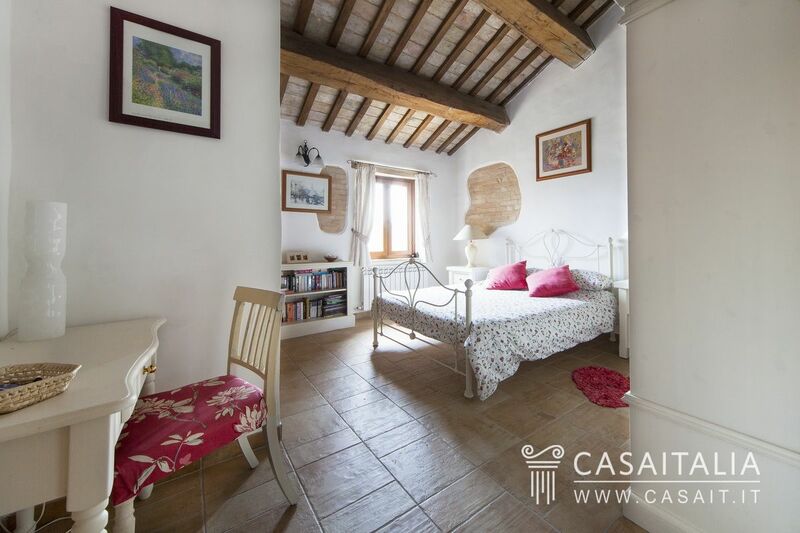 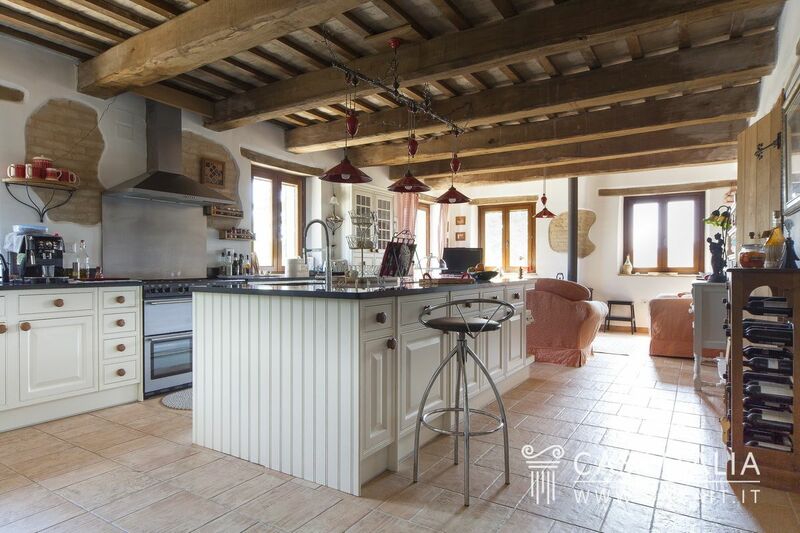 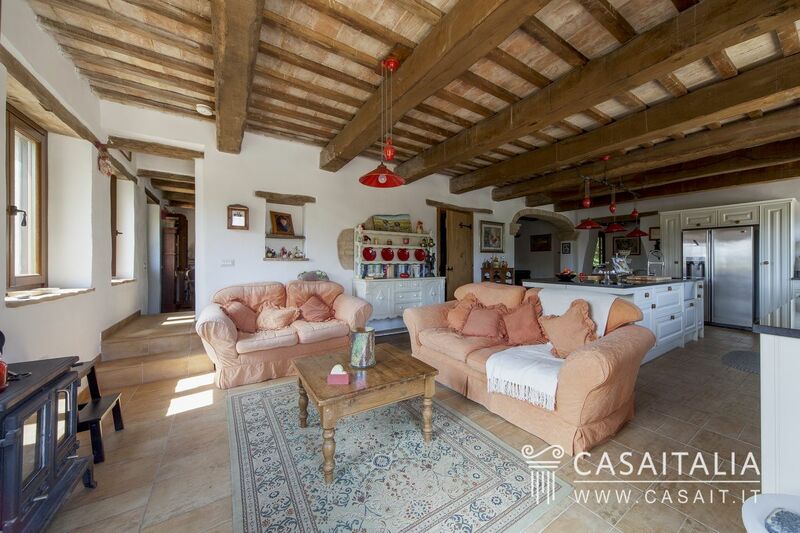 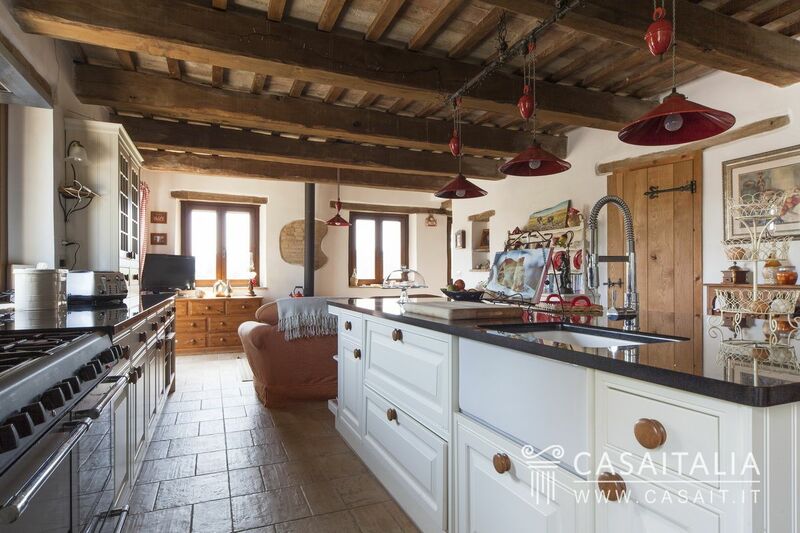 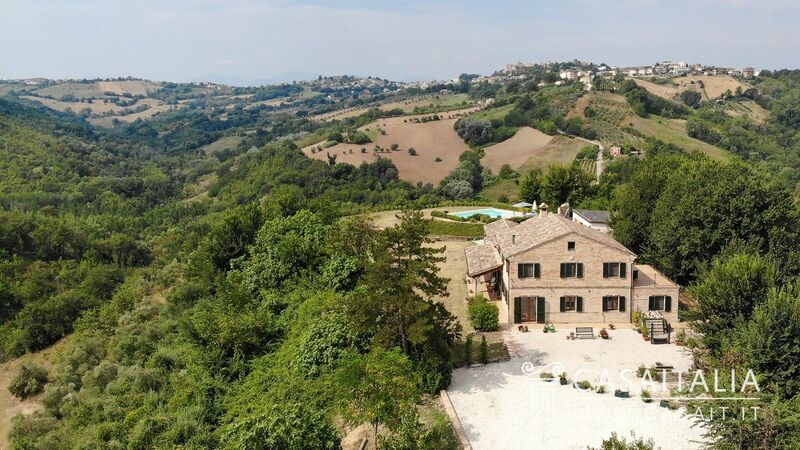 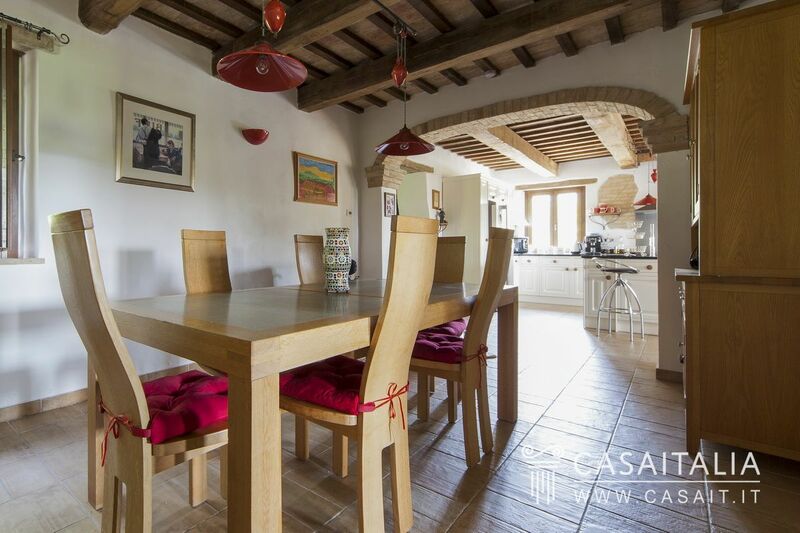 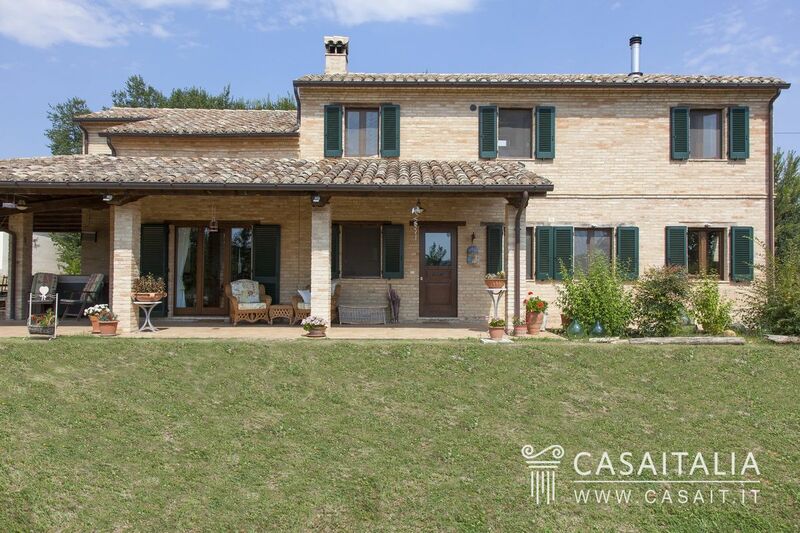 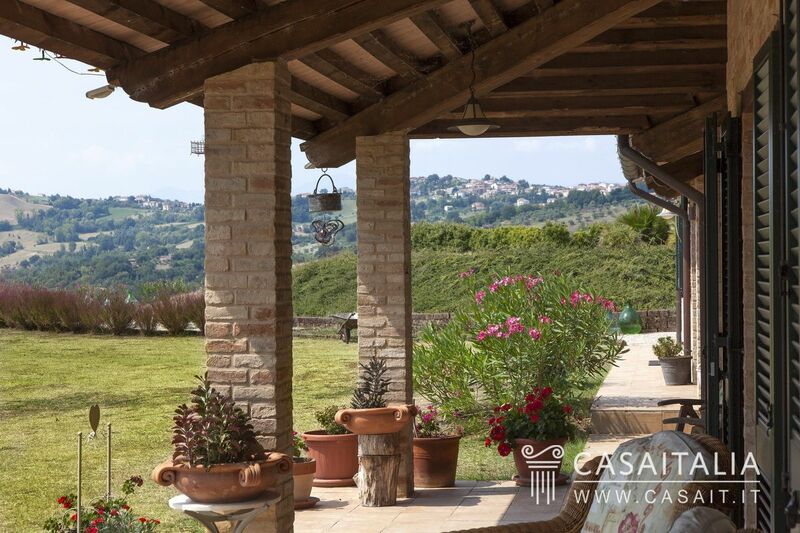 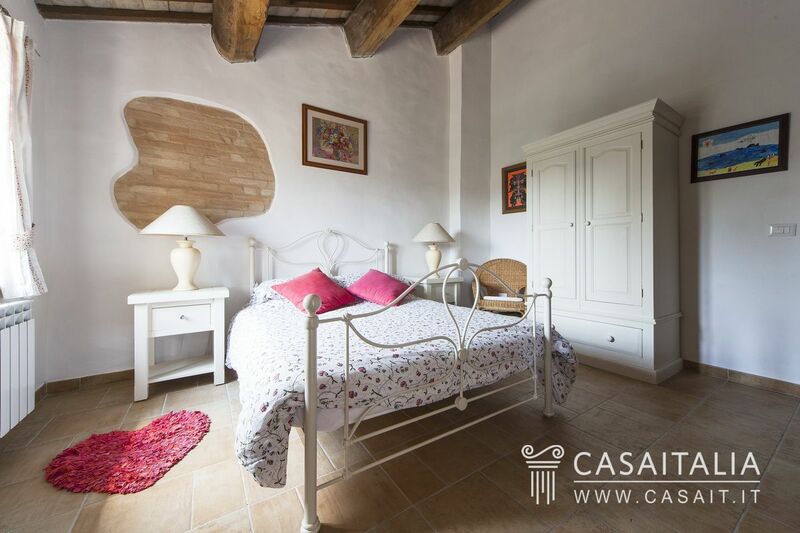 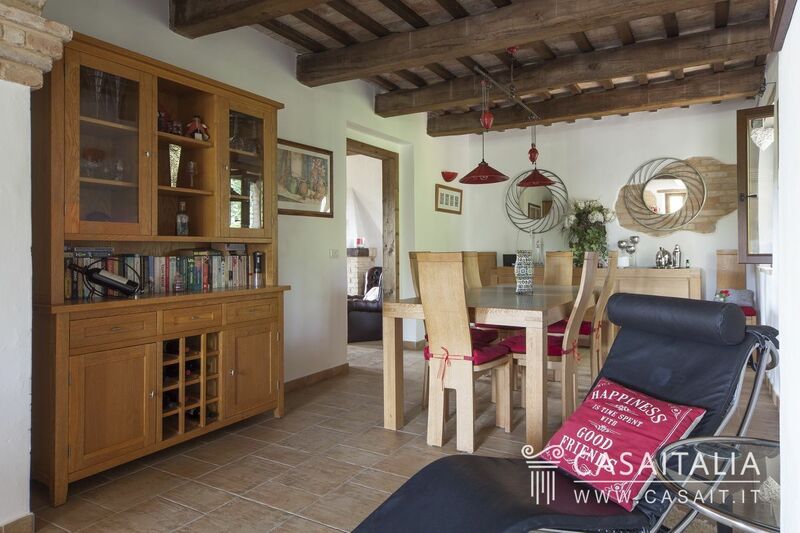 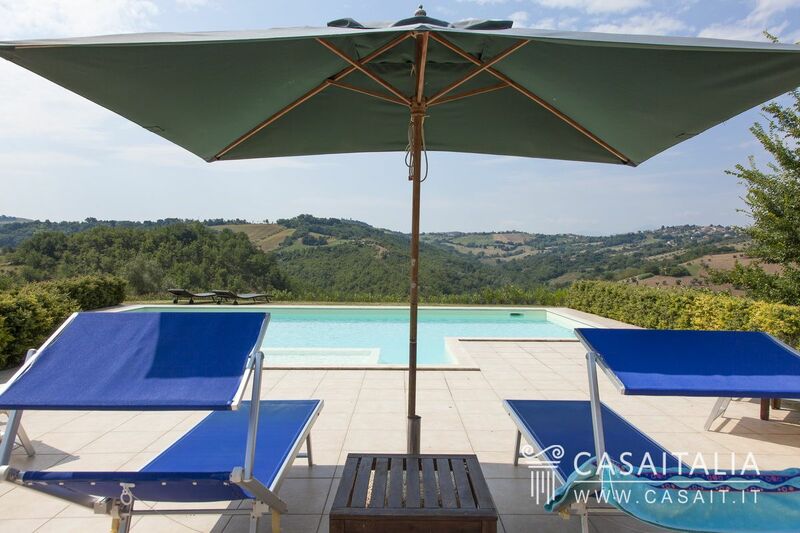 Ideal for those who love nature, privacy and quiet, the house is actually less than 2 km from the nearest town of Massa Fermana, the place to go for daily purchases, and from other little villages with lots of typical shops and restaurants. 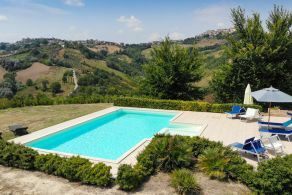 Civitanova Marche and Porto San Giorgio are the nearest seaside towns, almost the same distance (35 and 33 km respectively) and around half an hour away, as are Fermo, 27 km, and Macerata, 29 km away. 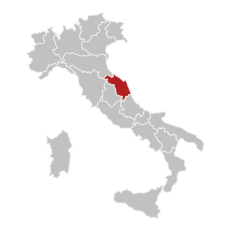 Ancona airport (85 km) is around 1 hour’s drive, while you can get to Perugia airport (122 km) in an hour and a half. 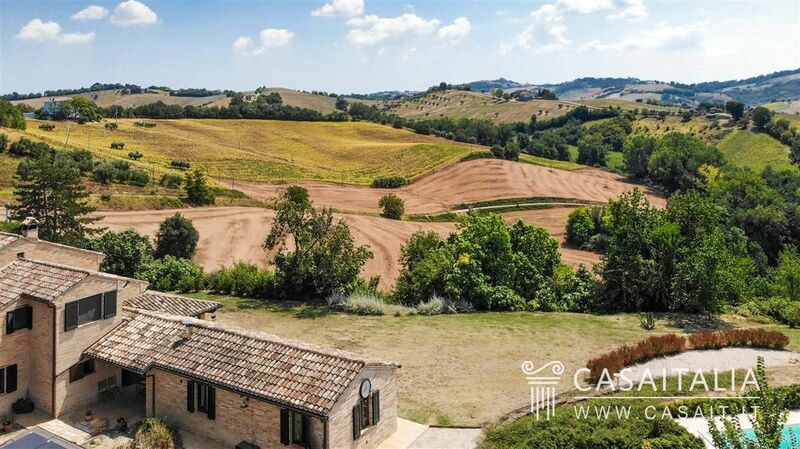 A walk through the gently rolling hills typical of Le Marche leads you to the house, a traditional country house of this region which has been restored and sits on top of a hill. 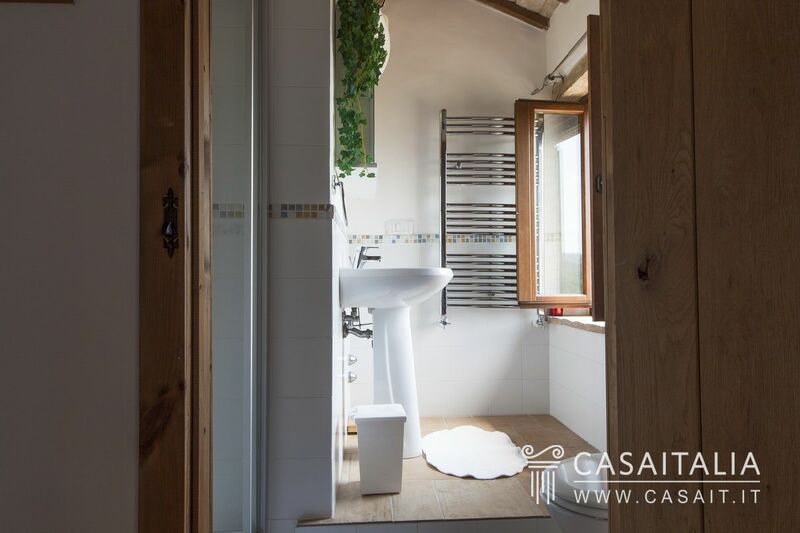 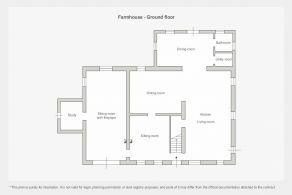 - on the first floor there is the sleeping area with two bedrooms, with en-suite bathrooms (one with a walk-in wardrobe) three further spacious bedrooms (two with access to a large terrace) and a bathroom with shower and tub. 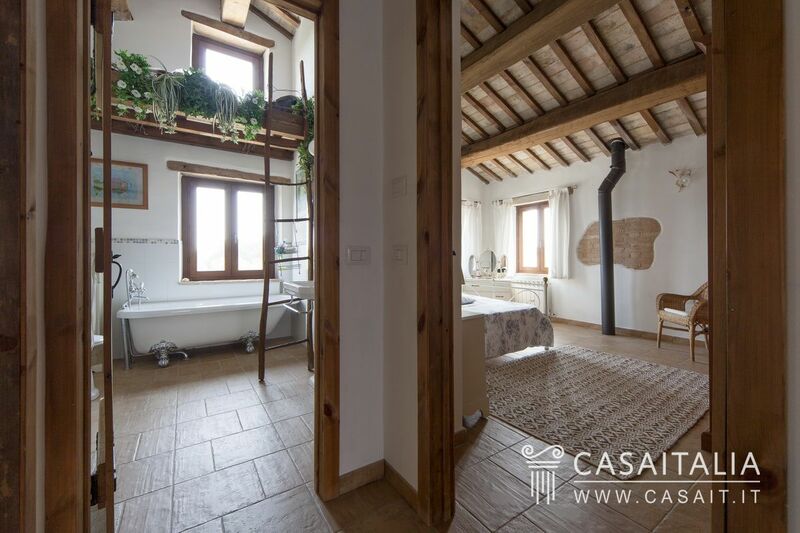 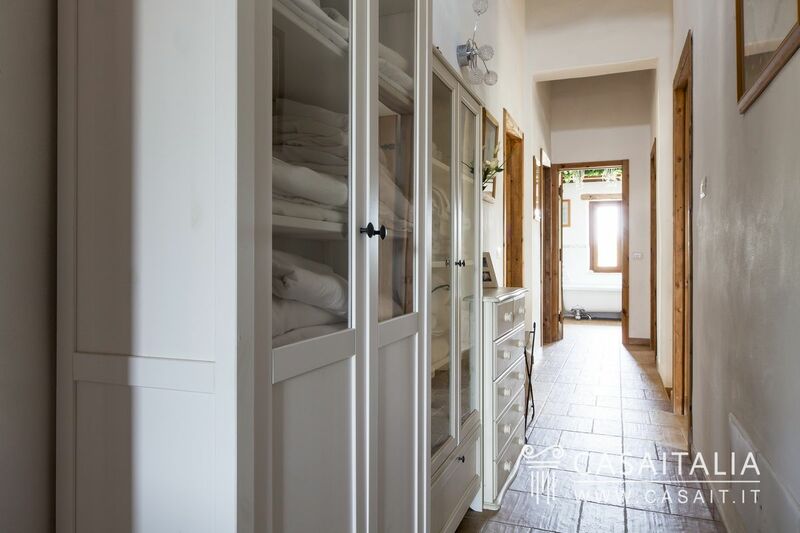 The property is completed by two annexes, the first, measuring around 49 sq.m, is next to the house and is connected by a portico equipped with barbecue and wood-burning stove; inside there is a studio apartment with bathroom. 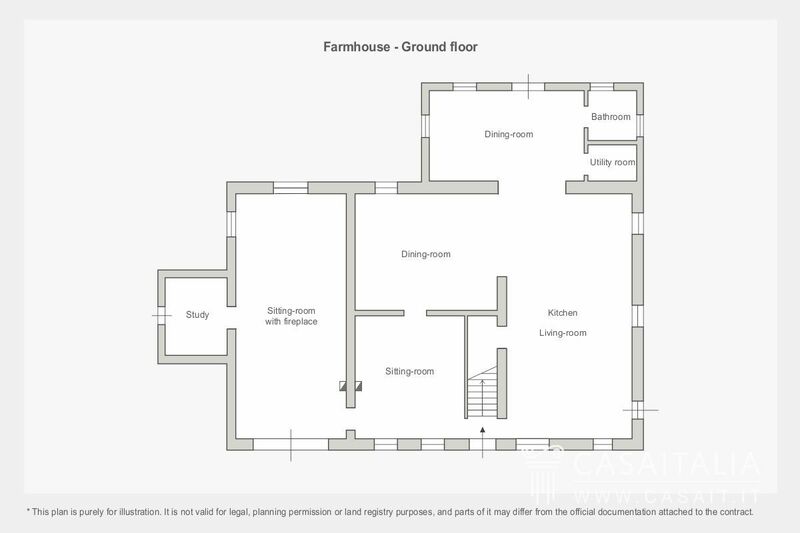 The other annex, behind the house, measures around 57 sq.m in total and is divided into a gym area and storeroom. 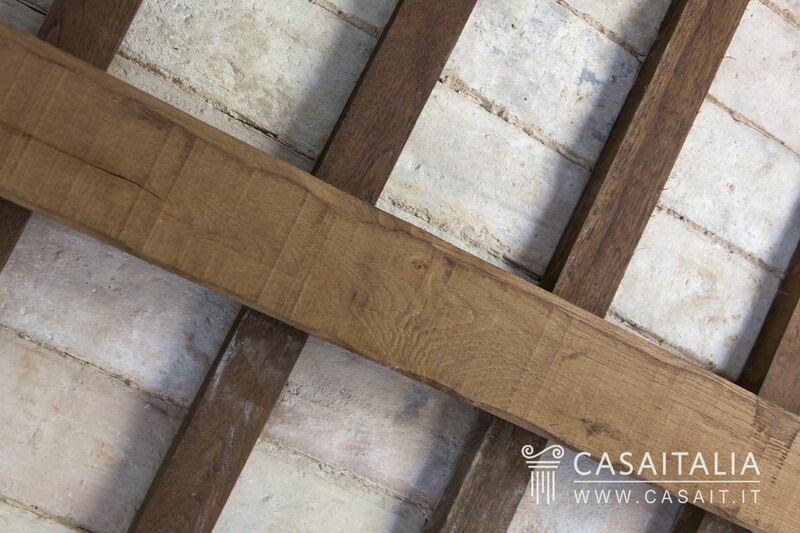 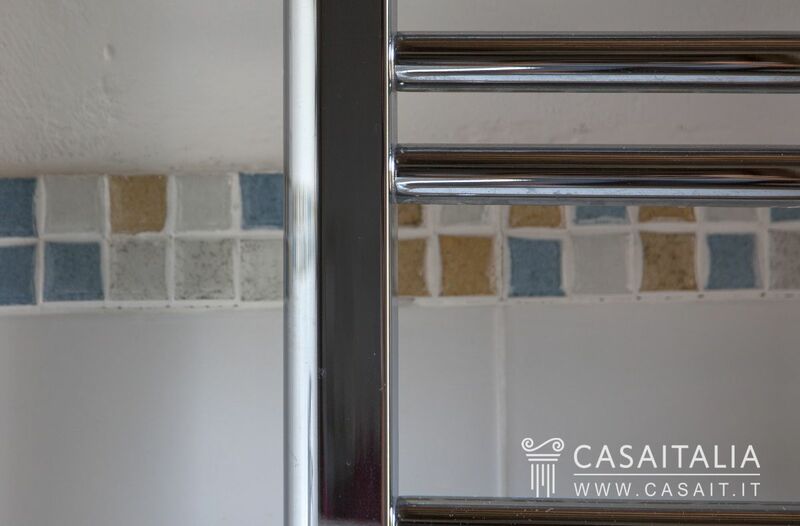 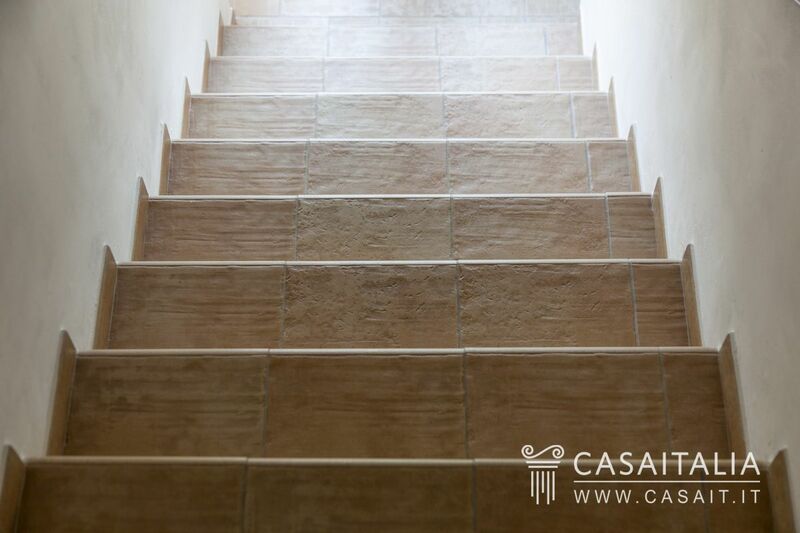 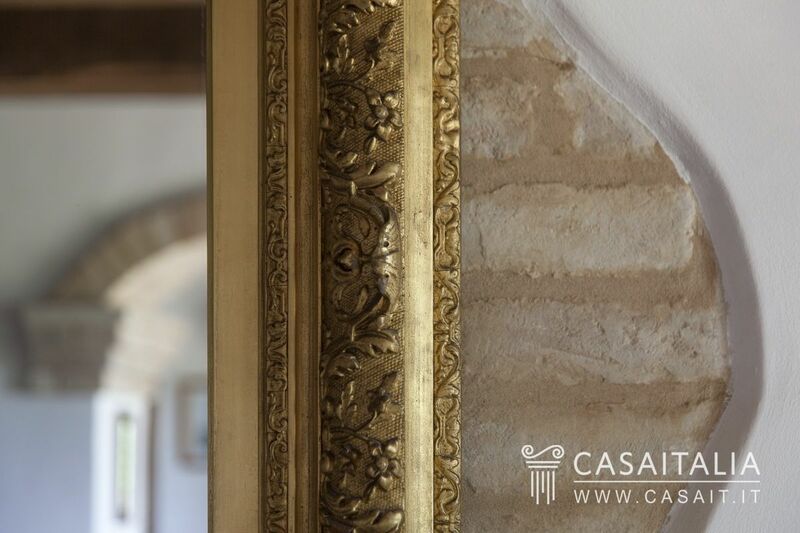 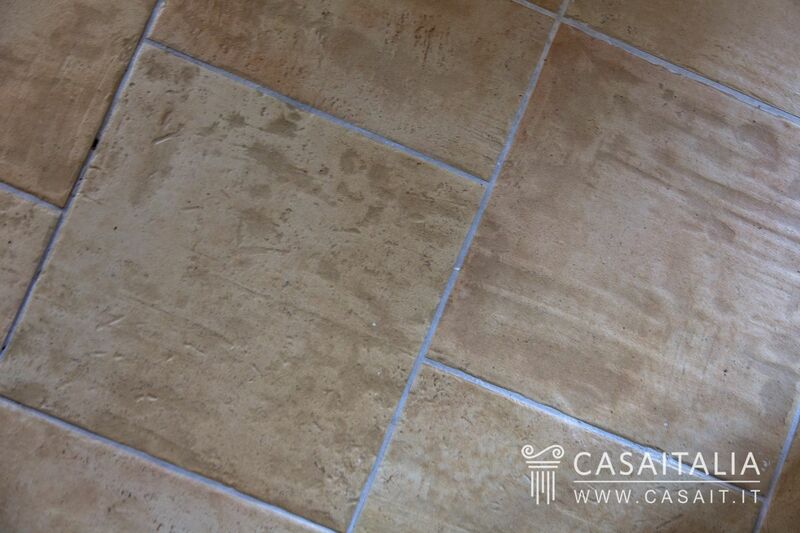 Casale Loving Marche has been restored using excellent quality materials and finishings and is in fantastic condition. 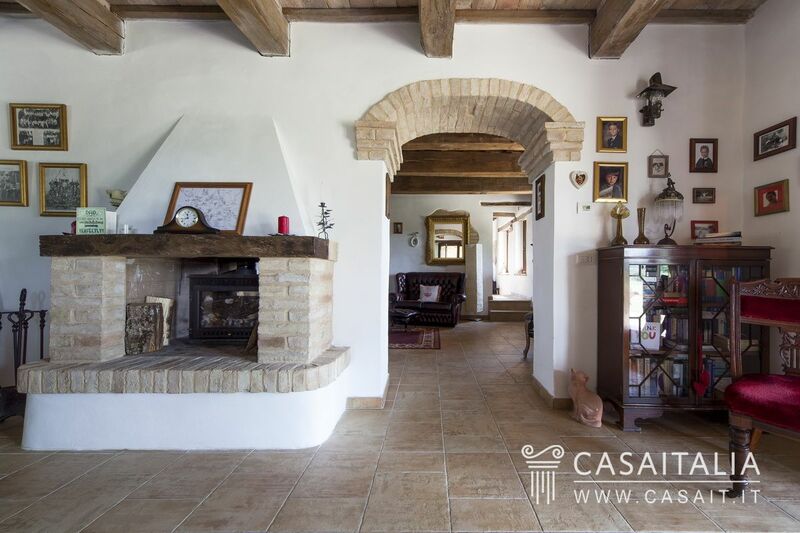 The exteriors are brick with tiled roofs, typical of country houses in this area, while the interiors feature tiled floors and ceilings with exposed beams and tiles. 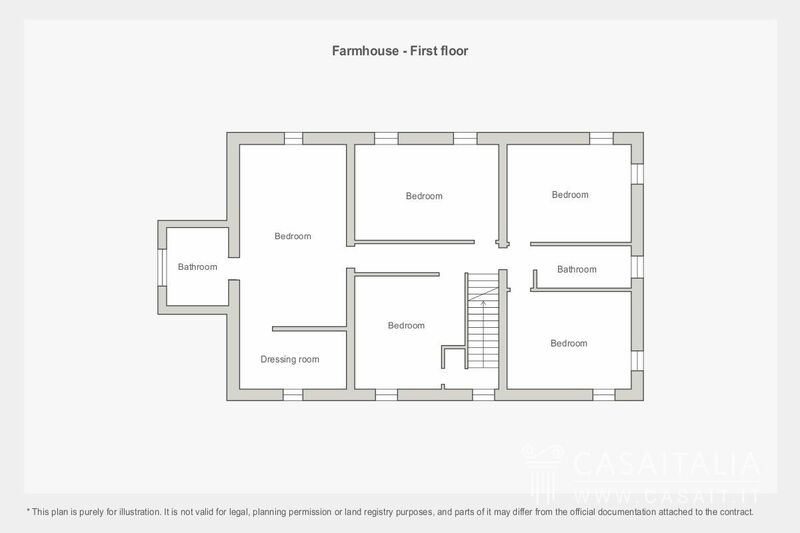 The house features a large portico which runs from the entrance along the side of the house to connect with the annex next door. 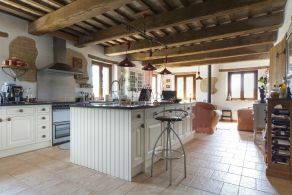 Under the portico is an outdoor kitchen with wood-burning stove, the perfect place for outdoor dining and spending a few pleasant hours relaxing (the current owners have put in a hydromassage tub, not included in the sale price). 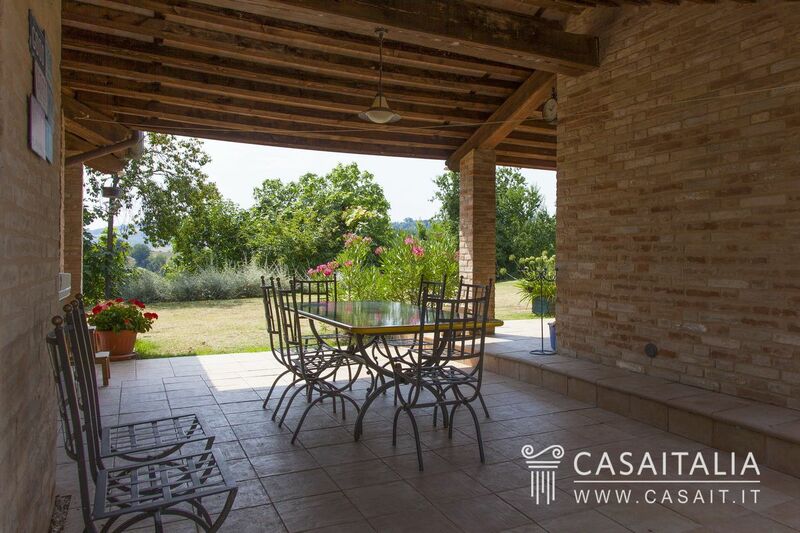 There is also a large terrace on the first floor, accessible from two of the five bedrooms. 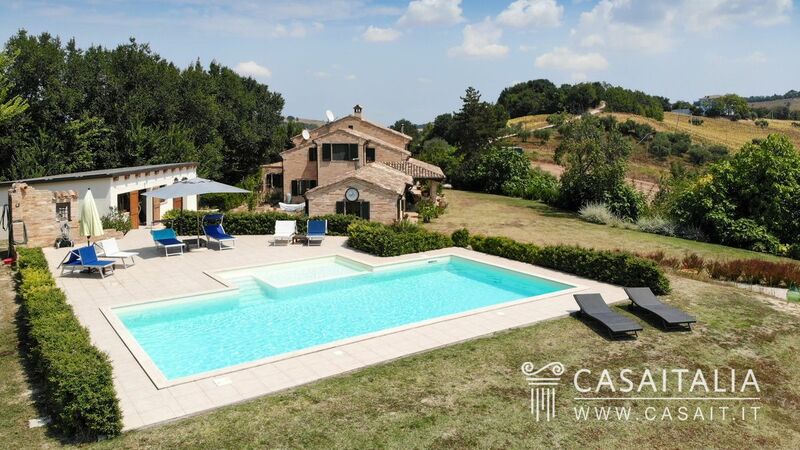 The property also includes a private garden measuring around 2500 sq.m, with a pretty, panoramic swimming pool measuring 12 x 6 m and an entrance area used for parking. 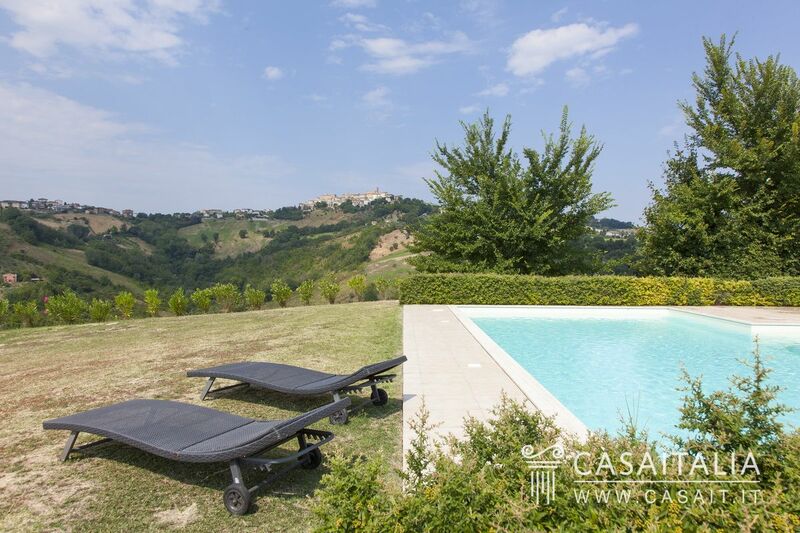 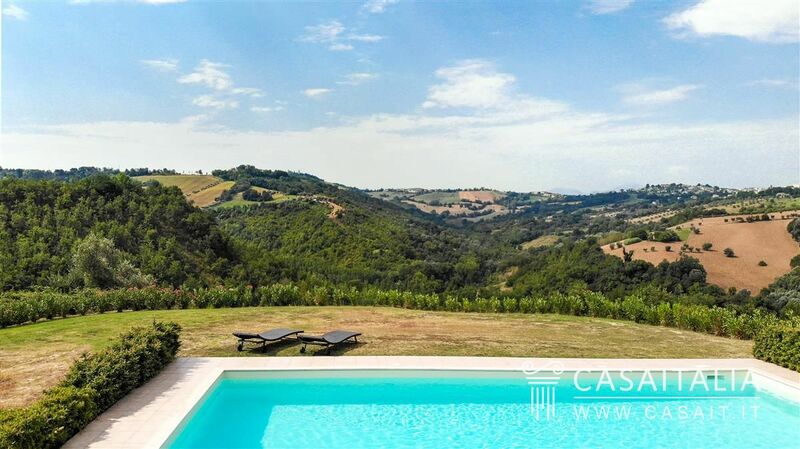 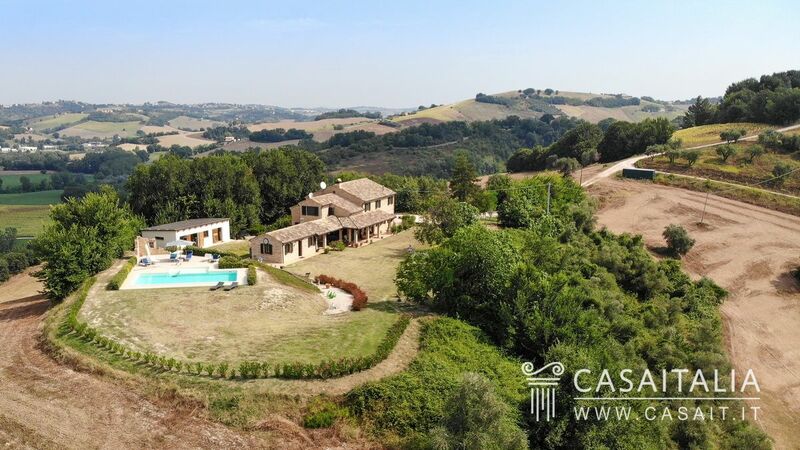 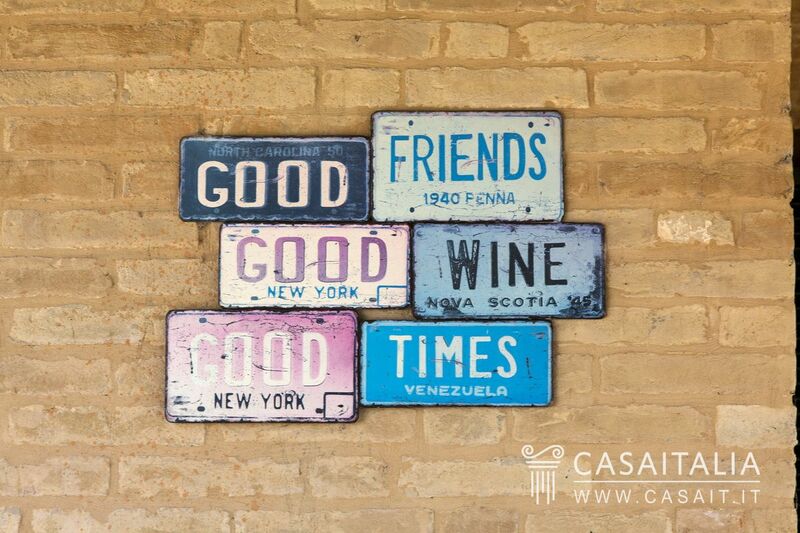 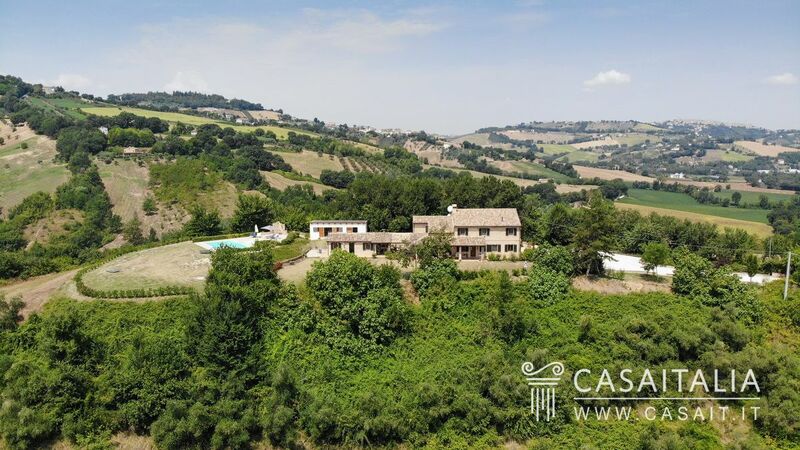 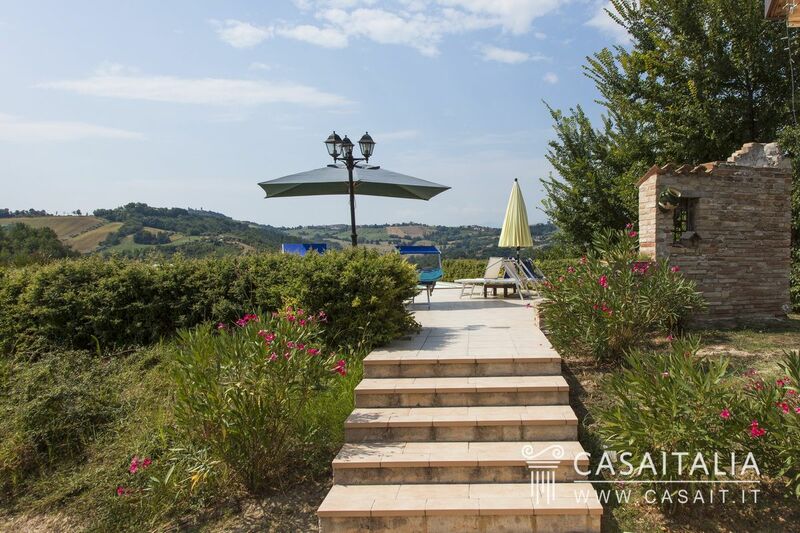 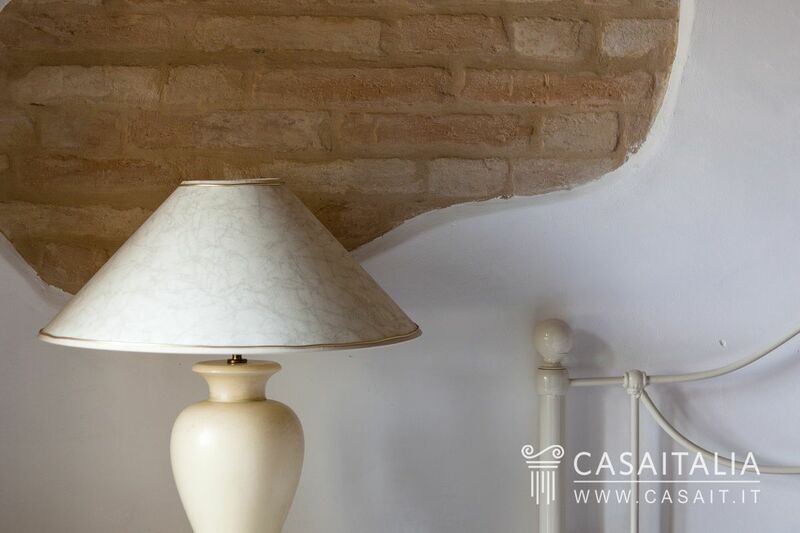 Casale Loving Marche is the ideal property for those looking for a holiday home or permanent residence in a panoramic location, surrounded by nature, peace and quiet but not too far from daily necessities, thanks to the nearby town (less than 2 km) and from the sea (half an hour’s drive).